Description: Delaware Inn is a business categorized under bed & breakfast accommodations, which is part of the larger category hotels & motels. 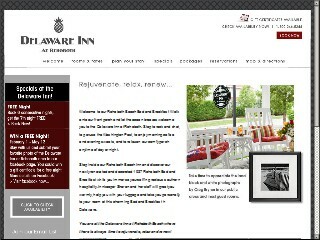 Delaware Inn is located at the address 55 Delaware Ave in Rehoboth Beach, Delaware 19971-2220. The Owner is Sharon Janis who can be contacted at (302)227-6031. Location & access map for "Delaware Inn"